"Landscapes with lots of color are my favorite subjects. I want to share the beautiful, delightful scenes around us like one big, happy smile. Life is awfully good." 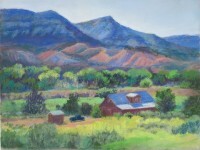 Jan has been painting for about 50 years, specializing in scenes from the Southwest. 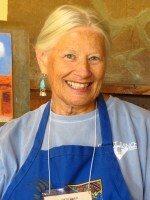 She has shown her work for many years in Taos, Santa Fe, Denver and Tubac, Arizona with numerous One Woman Shows. 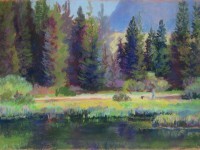 She has a BFA from the University of Colorado (1978); and is a Signature Member of the Pastel Society of America, New York. (1993). She continues to participate in many national shows: Including the Mile High National Exhibit here in Denver.